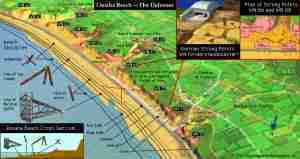 The Story of the First Echelon’s of 21 BDS (Base Defence Sector) at Omaha Beach 6th June 1944. The Allies were most concerned that the invasion force, should they be successful in establishing a beachhead on the French Coast of Normandy, would be at their most vulnerable in the first few days of the offensive. 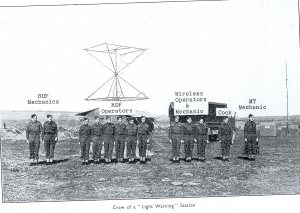 To protect the armies of the US, UK, Canada and many other nations that made up the Allied force, the Generals wanted to provide as soon as possible advanced Radar on the ground to give air defence and control of the skies above the beaches and to advance with the Allies as the invasion spread into France. 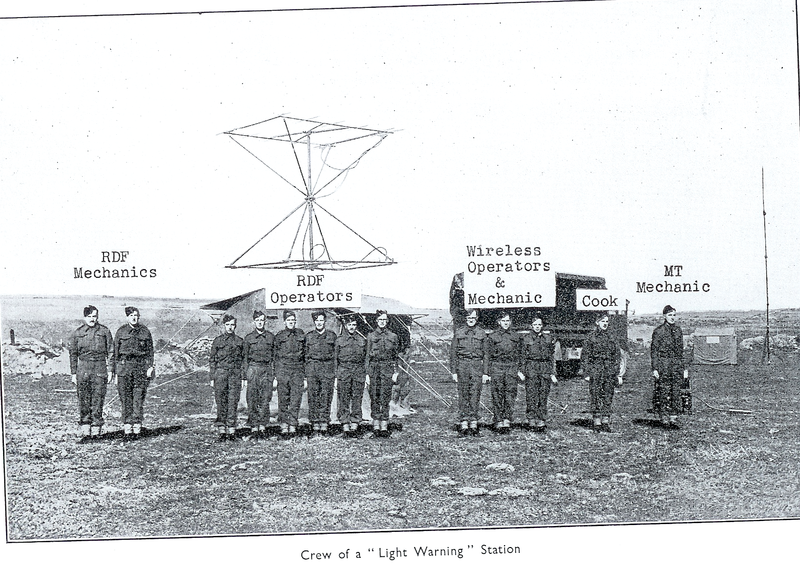 The only Nation that had the technology to provide advanced mobile Radar was the UK and so it was decided to send two separate Radar forces to support the invasion. The two groups were 24 BDS that went with the Canadian and British forces and landed on Juno Beach and 21 BDS that was seconded to the US 5th Army and landed on Omaha Beach. 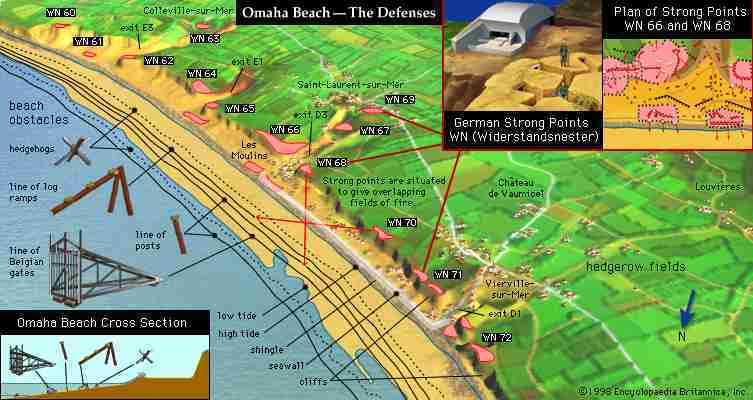 Bloody Omaha Beach. 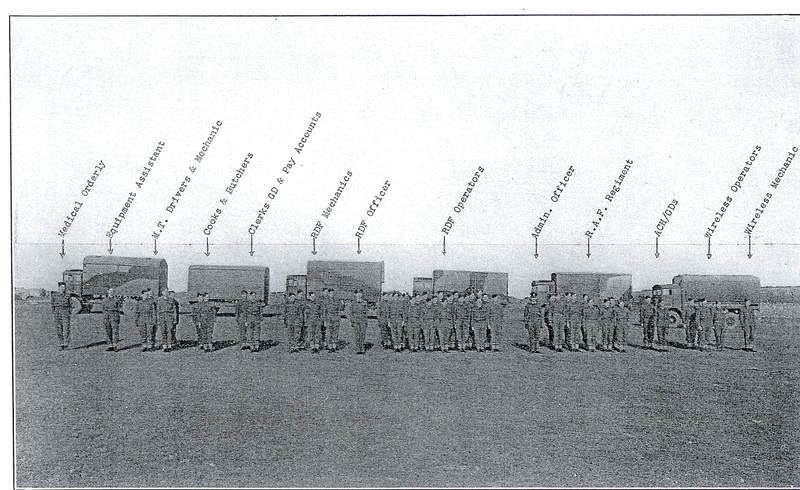 Each BDS had about 500 men attached to them and the plan was that on 6th June, the first Echelon of about 150-180 men and equipment (some of whom are showed on Picture 1) would land about 4 hours after the first assault troops and establish on the first night Ground Control Intercept (GCI) capabilities to warn of incoming enemy aircraft and to direct Allied fighters to intercept them. 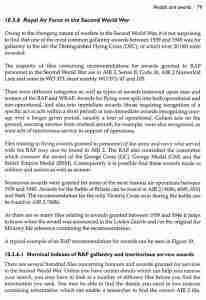 The balance of the two BDS were to land 7 to 10 days after the invasion, with a second set of GCI equipment and further mobile signal units (MSU’s). The first echelon of 21 BDS congregated at Portland, Dorset and was allocated 5 Landing Craft for the journey to Omaha Beach. 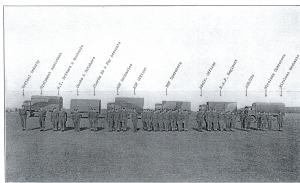 They had 27 vehicles in total, were self contained with mobile kitchens, stores, fuel and spares to operate on their own for 10 days until the balance of 21 BDS joined them. Some had had weapons training and some had not. 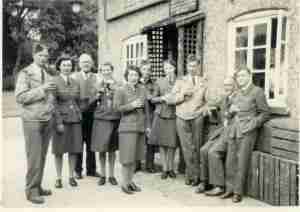 Some were only armed with pistols and specialists had been added to the original party as recently as 10 days before the invasion allowing no time for training beach landings or building teamwork. Their equipment was bulky, slow and vulnerable as illustrated in Photo 2, which shows part of the GCI equipment. Picture 3 shows a typical group that made up a MSU team. 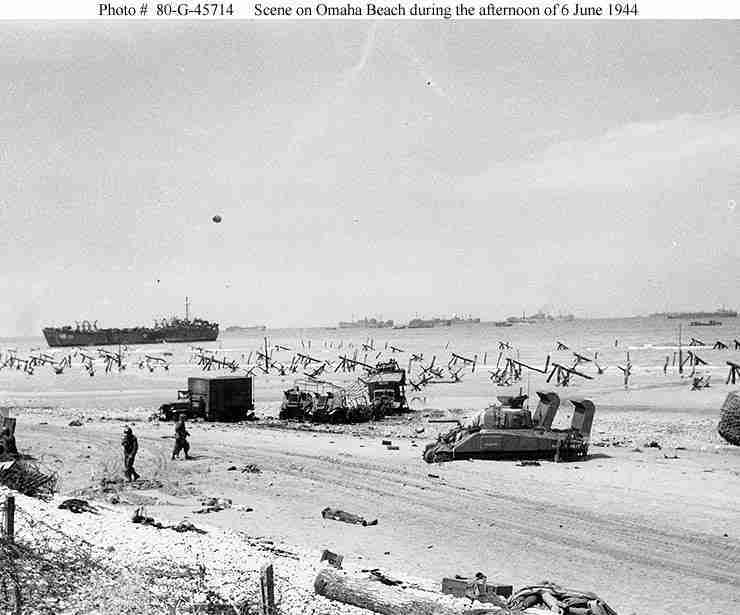 The beach at Omaha was split into 5 main sub-sections. 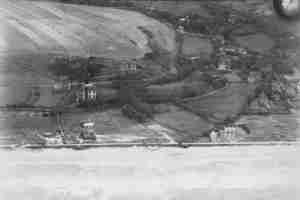 All of the beach was heavily defended and apart from 4 valleys or draws, the whole length of the 7 kilometre beach consisted of a narrow shingle top beach, a thin flat marshy area and a range of low hills or bluffs that rose to a maximum height of 60 metres. This was far from promising land to invade but it was the only possible beach between the more suitable beaches to the East were the British and Canadians invaded and the most Westerly Beach codenamed Utah. The Americans elected to take on this challenge where the German defenders had virtually all the Aces in their hand. The plan was for 21 BDS to land at Easy Red Beach at around 11.30 am when the tide would be in and to drive ashore, up the E1 exit to transit area 2. (Photograph 4). The plan went badly wrong. In theory, the combined efforts of the US Air Force and Navy should have battered the German defences to smithereens, and whilst the Armies did not expect a walk over, the hope had been that the bulk of the German heavy armoury would have been destroyed and fighting capabilities of the defenders would have been severely compromised. They were definitely not! The US 29th and 1st Divisions who landed at 6.30 had a terrible time, suffering massive number of casualties. The film, Saving Private Ryan showed graphically the slaughter that those brave men endured. 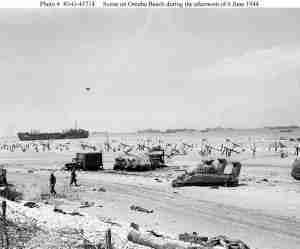 All along the beach, hundreds of men perished and the beach became littered by burned out vehicles, boats and bodies. Photograph 5 shows the beach and exit D3 at Les Moulin in 1943 and before the Germans built up their Fortress Europe defences. Most houses were destroyed in preparing these defences with a few exceptions including the house at the bottom left of the image, called Les Sables D’Or. At the appointed hour for 21 BDS to land, the beach had not been taken, and so they were ordered to circle offshore until the situation improved. Slowly the Americans began to penetrate the bluffs, fighting with immense bravery, and by early afternoon at several points along the beach, advances were being made. 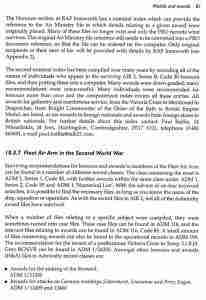 By mid afternoon, the first draw had been taken (E-1), quickly followed by E-3. There was now a chance to land 21 BDS, and so at 5.00pm, 6 hours behind schedule, they were ordered in. Tragically, they should have landed at the E-1 draw, they actually were put ashore closer to the D-3 draw, which was still being viciously fought over. The tide was also low, and so the vehicles were dropped far out on the flat sandy beach into low water. Hidden were deep channels that could not be seen. The whole contents of one LCT drove off the ship and straight into a deep channel, never to be seen again. Other vehicles became stuck in deep sand and mud, and became drowned out by the advancing tide. Those that made it to the edge of the shingle found themselves trapped with no exit off the beach. They became sitting targets for the German mortar and artillery shells that picked them off, one after another. The US forces that where on the beach with them were traumatized and immobile. Many men were dead or injured. 21 BDS position was grave and they were suffering casualties. The only solution was to get off the beach and get into the shelter of the ravine. 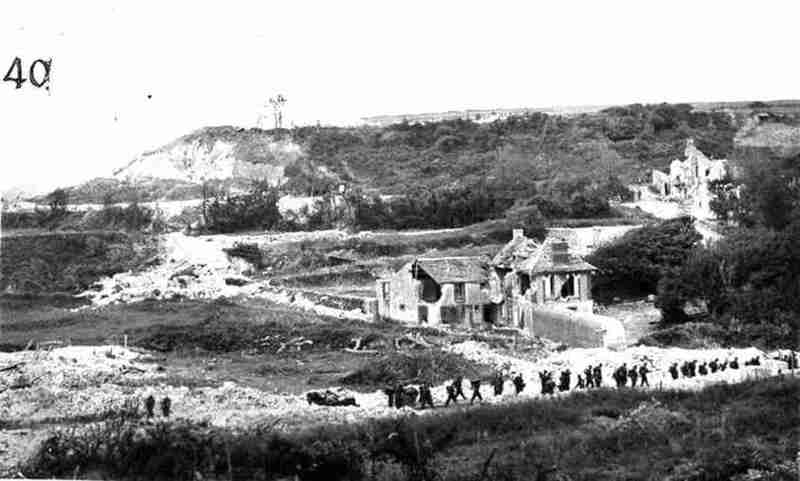 Several of the British Officers managed to organise themselves and some of the Americans to utilise an abandoned Bulldozer to break through the shingle, so to affect their escape. Fortunately, they were able to do so, and the remaining unscathed vehicles drove a few hundred yards to the comparative safety of the destroyed hamlet of Les Moulins. Out of the original 27 vehicles, only 8 survived and they had lost 11 dead and 39 seriously injured out of their starting complement of about 150. Photo 6 shows the layout of their landing. Photo 7 shows some of the burnt out vehicles of 21 BDS taken on the morning of 7th June with bodies still not recovered. 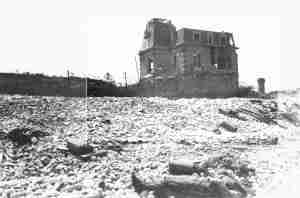 Photo 8 shows the remains of Les Sables D’Or and photo 9 shows the hamlet of Les Moulins where 21 BDS took shelter on the night of 6th June. Along with many detachments of the US 5th Army, they had suffered shocking losses and had endured a frightening ordeal. from both sides. The final shot (photo 12) shows my Father and another New Zealand survivor from the group on their return to England outside a pub, beer in hand and in borrowed US Military Uniforms. Replacement vehicles and men were sent over after a week or so, and the rest of 21 BDS were operational by 1st July. 21 BDS went on to become the joint most successful GCI unit on the Western Front, with over 46 enemy aircraft downed in the first three months of the invasion alone.